For a more comprehensive look at what xringammo has to offer, go to their website www.xringammo.com They now have ample supplies in stock of custom, locally made projectiles and other products available for sale. They plan to move around to local Opens as often as possible with a fully equipped van with a great range of products. 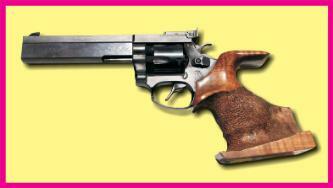 Below are pictures of Max Wray's Service Pistol and Centre Fire pistol. Completely modified with match grade barrels, competition sight rib, fully worked action. The Centre Fire is a 5 shot 38 Special. Max is also doing modifications to Black Powder guns, mainly FWB .44 Revolvers with new adjustable sights and triggers being worked on. Max's latest pistol is an auto for WA1500. Based on a CZ and recently shot a new State Record. Drop an email to Max for more information of these and other guns he modifies. 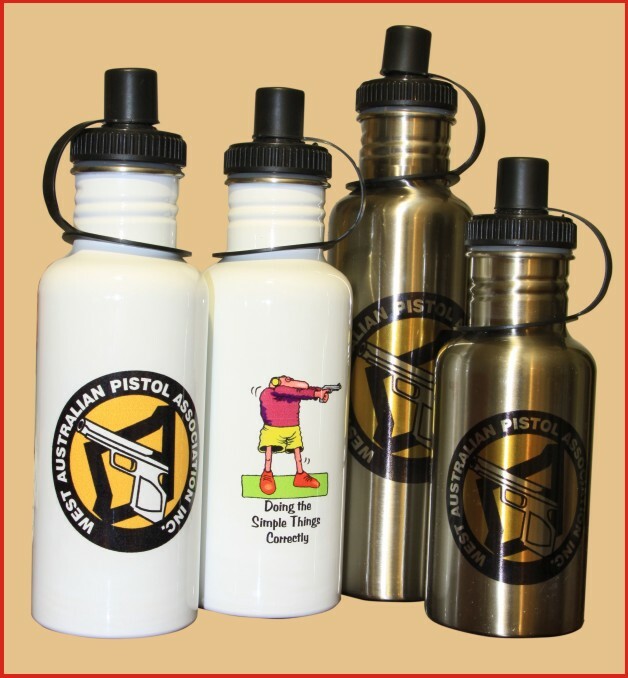 Available are drink bottles manufactured from top quality Stainless Steel. These are quality dye sublimated with your logo in 3 sizes. Prices vary according to quantities. For prices call: Pontague Sports and Leisure - 9493 3158. Unit 13-1731 Albany Hwy, Kenwick. They also do a variety of sports clothing and other marketing items. Give Mark a call.